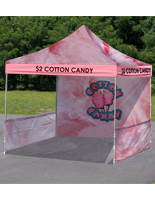 This portable canopy is often seen at outdoor concerts, indoor trade shows, large-scale public events or a family party. 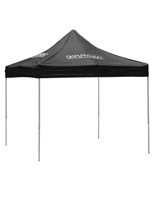 The pop up tent features a steel truss frame. 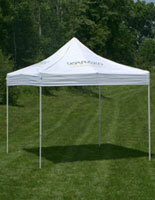 The white canopy top is made of high quality, rugged polyester. 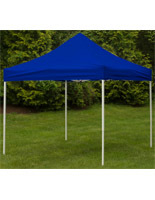 With height adjustable legs, you can adjust the height of the pop up tent to your liking. 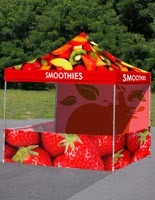 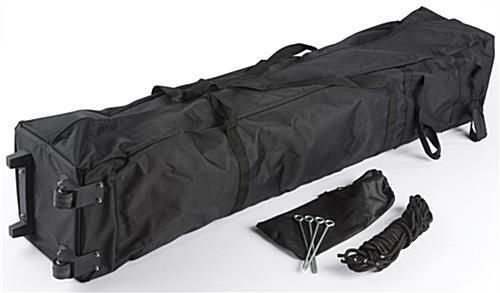 Bring the canopy to your next outdoor event or party using the travel case with wheels. 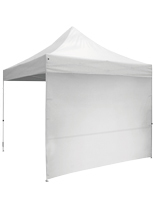 Have an instant shade option in seconds after quickly raising the frame and clicking it into position with its spring-loaded locks. 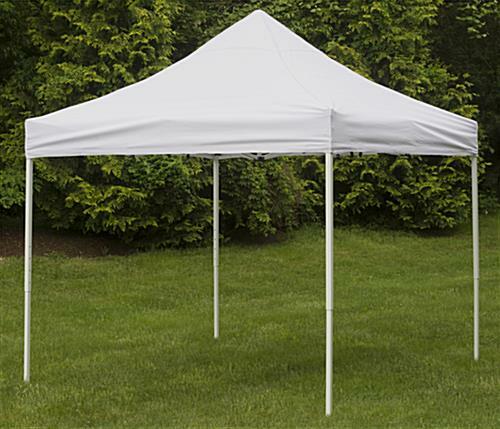 Please Note: Assembly requires at least two people due to the expanding truss design. 120.0" x 132.0" x 120.0"
57.0" x 10.5" x 14.0"